باقری سرشکی, عباس, درخشانی, عی. (1397). بهینه‌سازی تسلیح دیوار خاکی با تسمه‌های فولادی با بکارگیری الگوریتم فراابتکاری چندجهانی (MVO). پژوهشنامه حمل و نقل, 15(4), 309-321. عباس باقری سرشکی; عی درخشانی. "بهینه‌سازی تسلیح دیوار خاکی با تسمه‌های فولادی با بکارگیری الگوریتم فراابتکاری چندجهانی (MVO)". پژوهشنامه حمل و نقل, 15, 4, 1397, 309-321. باقری سرشکی, عباس, درخشانی, عی. (1397). 'بهینه‌سازی تسلیح دیوار خاکی با تسمه‌های فولادی با بکارگیری الگوریتم فراابتکاری چندجهانی (MVO)', پژوهشنامه حمل و نقل, 15(4), pp. 309-321. باقری سرشکی, عباس, درخشانی, عی. بهینه‌سازی تسلیح دیوار خاکی با تسمه‌های فولادی با بکارگیری الگوریتم فراابتکاری چندجهانی (MVO). پژوهشنامه حمل و نقل, 1397; 15(4): 309-321. المان­های فلزی تسلیح و عملیات خاکی، هزینه احداث دیوار به ترتیب به حدود 4.5 و 1.5 برابر افزایش پیدا می کند. همچنین در انتها، روند تغییرات کل هزینه ساخت دیوار بر حسب تغییر متغیرهای مختلف تصمیم شامل فواصل قائم و افقی مسلح کننده­ها و نیز طول، عرض و ضخامت عناصر تسلیح مورد بررسی قرار گرفت. Soil stabilization as a relatively inexpensive method improves the stability of soil retaining walls and slopes via tensile stress mobilized in reinforcing elements. In this study, to present the most economical design of mechanically stabilized earth wall (MSEW) with metal strip considering the safety factors, the simulation model of the wall behavior was associated with an optimization algorithm. In the current research, using Multi-Verse Optimizer (MVO) together with Federal Highway Administration (FHWA) design method, construction cost of MSEW with metal strip was optimized. It is found that using this method, construction costs of a short wall can be reduced up to 22 percent and those of a taller wall can be reduced up to 8 percent in contrast to FHWA method. In addition, sensitivity analysis indicated that the total construction cost of the wall is mostly affected by the cost of metal elements in comparison with soil backfilling costs such that by increasing the metal elements and soil backfilling costs to 5 times more, the wall construction cost increases to about 4.5 and 1.5 times more, respectively. Also, at the end, the tendency of the total cost to the variations of different decision variables such as vertical and horizontal spacing, length, width and thickness of reinforcing elements was evaluated. -الادینی، م. غیاثیان، ح. و کاوه، ع.، (1388)، "بهینه‌سازی دیوار خاک مسلح شده با تسمه فلزی با استفاده از الگوریتم PSO "، مهندسی عمران شریف، ص. 27. -گواشیری، ز. شفابخش، غ. ع. اکبری، م. و عبدالحسین حداد، ز.، (1387)، "امکان‌سنجی اجرای دیوار خاک مسلح با ژئوسنتتیک و بررسی موردی آن در جاده ویژه گلستان"، پژوهشنامه حمل و نقل. -Basudhar, PK, Vashistha, Amol, Deb, Kousik, & Dey, Arindam. (2008), “Cost optimization of reinforced earth walls”. Geotechnical and Geological Engineering, 26(1), pp.1-12. -Berg, Ryan R, Christopher, Barry R, & Samtani, Naresh C., (2009), “Design of Mechanically Stabilized Earth Walls and Reinforced Soil Slopes”, Vol. I. -Elias V., Christopher B. (2001), “Mechanically Stabilized Earth Walls and Reinforced Soil Slopes Design and Construction Guidelines”, National Highway Institute, Department of Transportation FHWA, Washington, D.C., USA. -Deng, Michelle Mingyan. (2015), "Reliability-based optimization design of geosynthetic reinforced embankment slopes: Missouri University of Science and Technology". -Ghazavi, M, & Bazzazian Bonab, S. (2011), "Optimization of reinforced concrete retaining walls using ant colony method". ISGSR. -Ghiassian, H, & Aladini, K. (2009), "optimum design of reinforced earth walls with metal strips; simulation-optimization approach". asian journal of civil engineering (building and housing), 10(6), pp.641-655. -Jones, Colin JFP., (2013), "Earth reinforcement and soil structures", Elsevier. -Kaveh, A, & Khayatazad, M. (2014), "Optimal design of cantilever retaining walls using ray optimization method". 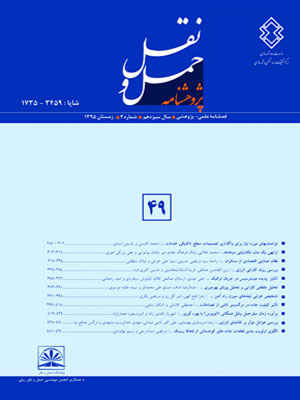 Iranian Journal of Science and Technology. Transactions of Civil Engineering", 38(C1+), pp. 261. -Koerner, Robert M, & Soong, Te-Yang. (2001), "Geosynthetic reinforced segmental retaining walls. Geotextiles and Geomembranes", 19(6), pp.359-386. -Manahiloh, Kalehiwot Nega, Nejad, Mohammad Motalleb, & Momeni, Mohammad Sadegh. (2015), "Optimization of design parameters and cost of geosynthetic-reinforced earth walls using harmony search algorithm". International Journal of Geosynthetics and Ground Engineering, 1(2), pp.15. -Nejad, Mohammad Motalleb, & Manahiloh, Kalehiwot Nega. (2015), "A Modified Harmony Search Algorithm for the Optimum Design of Earth Walls Reinforced with Non-uniform Geosynthetic Layers". International Journal of Geosynthetics and Ground Engineering, 1(4), pp.36.